Steel gas globe ring base. Paint to match your pump. 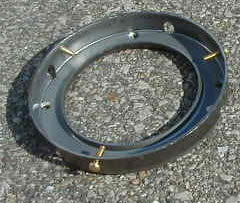 Perfect for mounting globes on vintage gas pumps or for mounting globes securely on a display shelf.